Starring Adam Sandler/Count Dracula, Selena Gomez/Mavis, Andy Samberg/Johnny, Kevin James as "Frank" Frankenstein, Steve Buscemi/Wayne, David Spade/Griffin, Keegan-Michael Key/Murray, Molly Shannon/Wanda, Fran Drescher/Eunice, Kathryn Hahn/Ericka Van Helsing, Jim Gaffigan/Prof. Abraham Van Helsing, Mel Brooks/Vlad, Asher Blinkoff/Dennis, Sadie Sandler/Winnie. 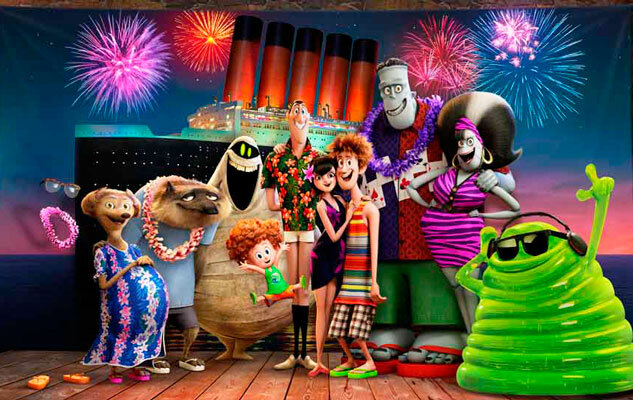 Summer vacation is the ideal time to have some fun and Hotel Transylvania 3: Summer Vacation helps the family beat the heat with our favorite monster crowd. 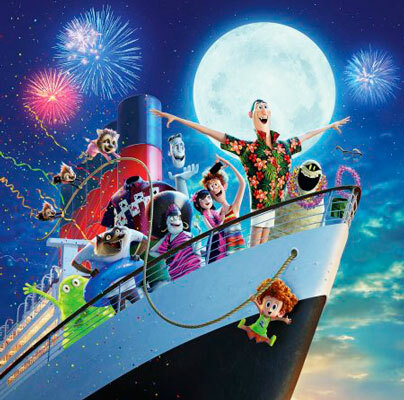 Everyone's on board for another adventure and what better way to kick back than on a summer cruise? Mavis senses that everyone is in need of a summertime break from the hotel routine and books a luxury cruise as a surprise. Once settled aboard the Legacy however, she's unable to enjoy herself because of the Count's growing interest in Ericka, the cruise ship's human captain - who just happens to be a Van Helsing. Her great-grandfather, Professor Abraham masterminds an elaborate plot from the depths of the ship, but he fears Ericka is falling for his bitter nemesis. Once again Dracula's tag team of Frank, Wayne, Murray and Griffin have all the fun and adventure, with Johnny dithering on the sidelines about yet another interrupted date night. The most exhilarating scenes are between Dracula and the ever resourceful Ericka, as he attempts to win her heart and she tries to kill him. 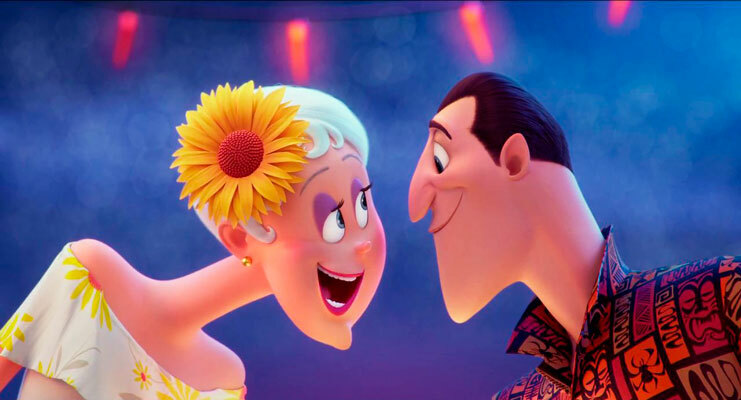 Dennis, Winnie and Grampa Dracula provide some laughs along the way and even Wayne and Wanda catch the love boat fever. 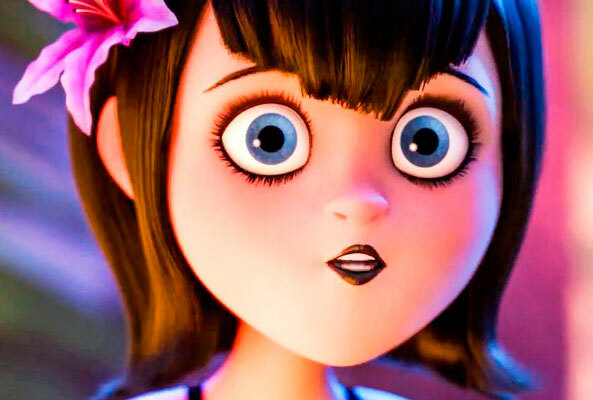 But the overcooked theme of the micromanaging daughter butting heads with her father doesn't warm any hearts here, and Mavis is reduced to little more than a Millennial monster shrew. 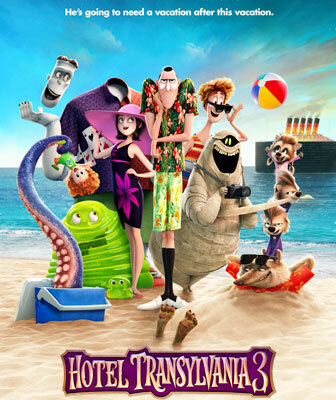 If the sagging Hotel Transylvania 3 box office receipts are any indication, the franchise might want to take a vacation from their vacation to recover some creativity.